Cal Ripken with the band! Ted rockin' it out on guitar! Rob on keys. Such a happy guy! Dawn looks great in blue! Leah looks great in Red! 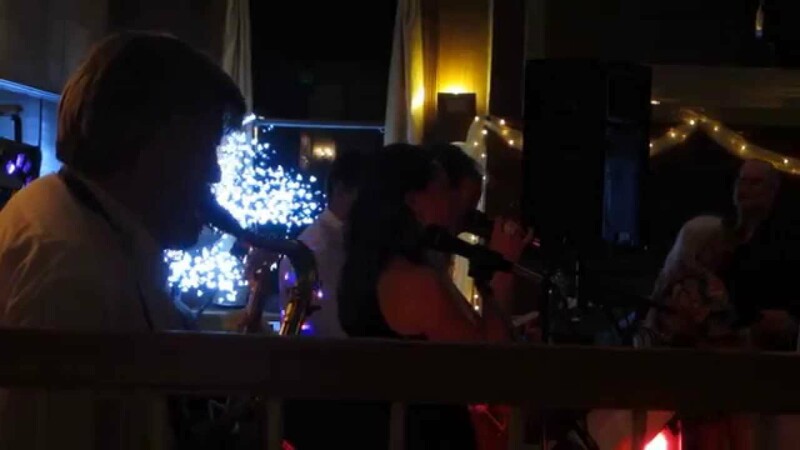 Mutual Fun is a versatile 4, 5 and 6-piece live band playing a wide variety of dance music, from Motown to classic rock and roll, oldies to current Top 40, even disco, country and big band music. Our amazing versatility and experience has made us one of the most popular bands in the Maryland, Washington D.C., Pennsylvania, Delaware, NJ, Virginia and West Virgina areas. Mutual Fun provides everything that you need for the entire event, from ceremony music to cocktails to dancing music, including music on breaks, handling of all the evening's announcements, and includes all the sound system and lighting system equipment for the evening. Mutual Fun is your complete entertainment solution! I knew this group was good, but they blew my socks off. Outstanding performance with a variety of music that fit everyone's likes. My wife is not a dancer, this group had her on the floor with me several times. I would highly suggest anyone booking this group for any occasion. We will have them come back if we are lucky enough to be able to fit in their schedule. Thank you and God bless. Thanks! We really enjoyed playing for you and your group! An evening full of a wide variety of music to suit all ages! We not only provide the live music, but taped music on breaks, all announcements, sound system and the lighting. Our core group has been playing together since 1992. Whether you prefer the classic oldies or the hits from '70s, '80s, '90s or today, Mutual Fun can do it all. Our wide range of music makes us well suited for practically any occasion. Mutual Fun always delivers the best in live entertainment. The Mutual Fun Band features live musicians, singers and entertainers specializing in weddings and private parties. 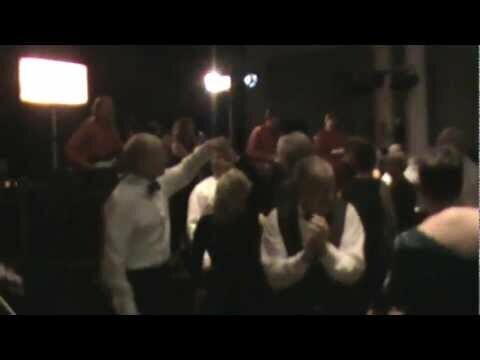 You and your guests are sure to be dancing all night long! All music is performed 100% live; we never use any sequenced, taped, or backing tracks. Are you planning that special event? Are you looking for the right entertainment? Whether you’re planning a wedding, dinner dance, corporate event or any special occasion, Mutual Fun brings you the best in live music. Mutual Fun has also performed thousands of wedding and private events. Mutual Fun is far from your typical "wedding" band. 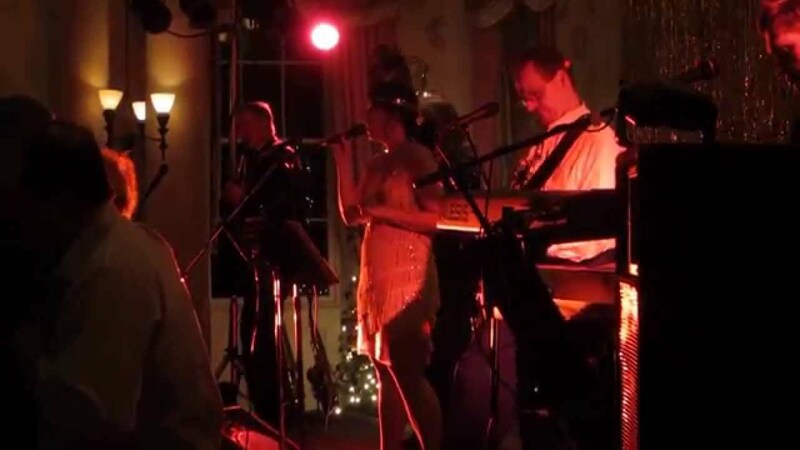 We are an extremely talented show band and party band that will make your evening memorable. We also have played for numerous Fortune 500 company events, as well as numerous DC embassies, and we even played for Condoleezza Rice's 50th birthday party which was attended by the president of the Unites Sates and numerous cabinet members! Are you looking for something smaller? Mutual Fun entertainers can scale down to as small as four pieces, and still provide a wide variety of entertainment and music. Are you looking for something bigger, and six pieces are not enough? There is no problem! We can add more horns to give you that really big band sound. Or, how about more vocalists out front? Again, it's not a problem. We can make the band exactly the way you want it! We have large and small sound system and lighting systems to match the room and client needs. They are all included in the price. John Cougar	R.O.C.K in the U.S.A.
Shakira Rihanna Lady Gaga Pink Katty Perry etc. Classic artist like Journey, AC/DC, Bryan Adams, etc..
YMCA, Cha Cha Slide, Chicken Dance, Electric Slide, Macarena, etc.